Chris Shoffner | Armed Missouri, Inc.
Chris is co-owner/operator of Armed Missouri, Inc. He logs hundreds of teaching hours and provides training to approximately 300 clients each year, ranging from Law Enforcement Officers, active and retired military, Executive Protection Agents, Corporate Security Agents, and law abiding citizens. Chris is the lead curriculum developer/writer for AMI and developed all of the proprietary coursework AMI uses currently, as well as providing professional consulting services to clients with specific needs. 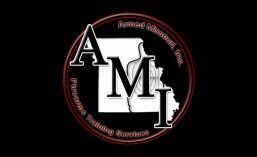 He specializes in Instructor Development and the application of the handgun for defensive use. Over the years, Chris has worked hard to establish and maintain working relationships with a network of professional self-defense trainers from around the country, which helps him stay up-to-date with new information and training protocols as well as providing exposure to a wide range of disciplines and thought processes. Additionally, he dedicates hundreds of hours each year to his own research in the areas of self-defense encounters and violent crime, as well as the physiological and psychological reactions of the human body to the severe stress associated with violent encounters. Consistent with his belief that one of the best ways to learn and solidify knowledge is by teaching, he is dedicated to helping students learn and develop the essential knowledge and skills needed to become safe, confident, and proficient in their use of firearms, tactics, and less-than-lethal methods as they apply to protection of self and family. Chris has written and had published a number of articles for the Missouri CCW Instructors website as well as several other firearms/self-defense related websites. He also writes for the Armed Missouri, Inc. web blog as time allows. Chris has completed hundreds of hours of formal firearms, self-defense, counter-ambush, mindset, less-than-lethal, and Missouri P.O.S.T. (law enforcement) Approved firearms training from numerous Instructors, Training Counselors, and Accredited Schools. He expends several thousand rounds of ammunition each year in his own training and strives to take at least two new training courses each year to further his own knowledge base and skill level.